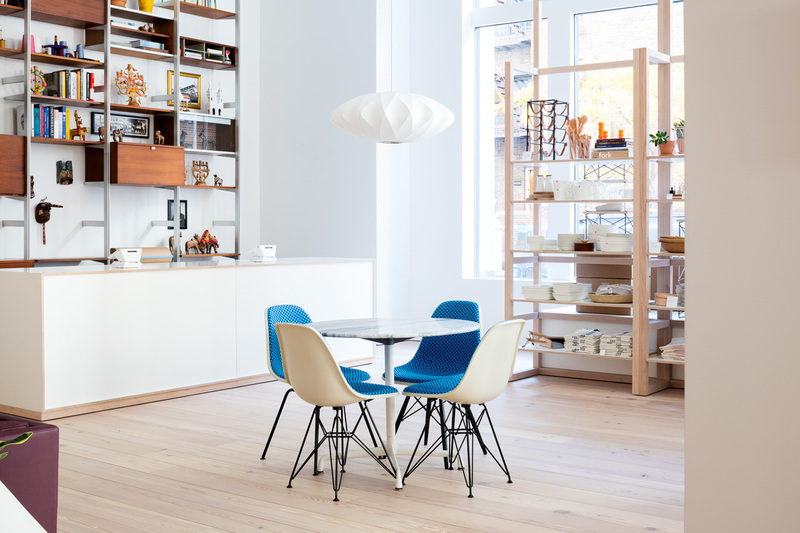 Herman Miller, the 93-year-old legendary design company, just opened what it’s calling its first retail store. But for anyone who’s ever salivated over photos in shelter magazines and interior design sites, the 6,000 square foot space is the Barbie Dream House come to life. The idea isn’t just to sell you furniture and accessories; it’s to immerse you in the experience of the Herman Miller lifestyle. It’s all part of the company’s “Shift” strategy, designed to transition from its workspace design roots to a lifestyle brand. Herman Miller ECD Ben Watson approached the project by asking “what does nirvana look like?” Mission accomplished. The environment is pure heaven.